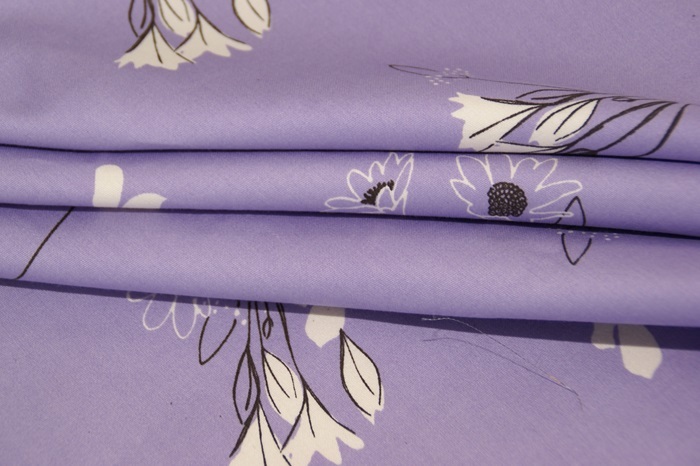 Beautiful cotton sateen designed by Harmony Art, in a soft, supple quality. 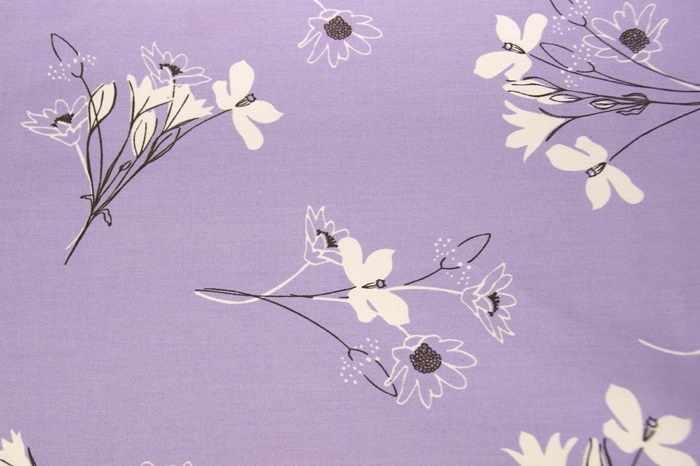 A beautiful flower design with delicate spring flowers, in a composition of natural, dark brown and violet. 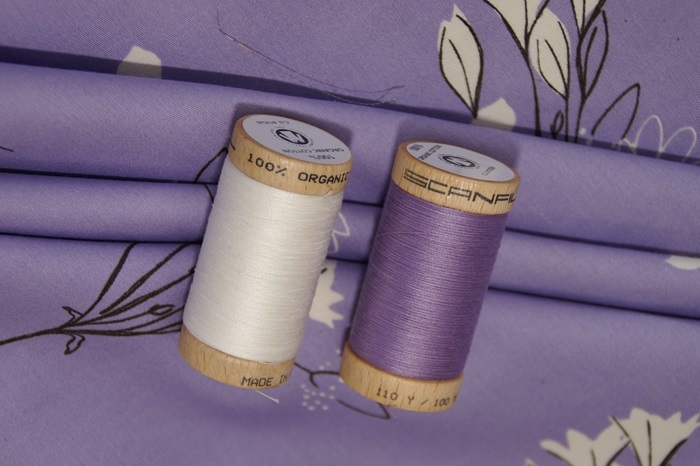 Great in combination with several natural fabrics, such as the Natural cotton sateen and the Cream stretch jersey, and the Chocolate Brown cotton sateen. 100% organic cotton. Produced in India, GOTS certified. 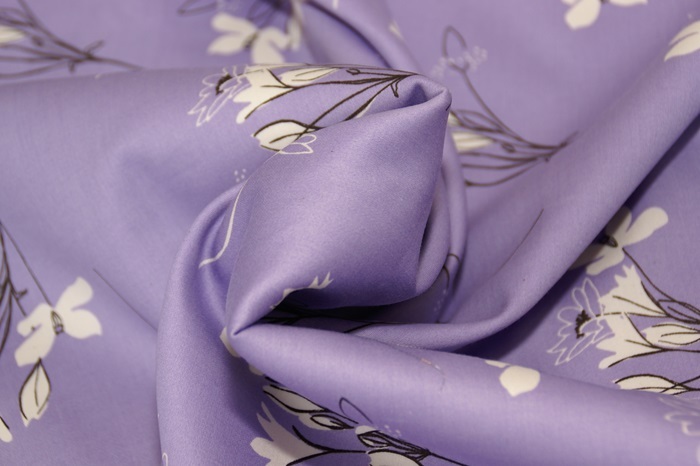 The cultivation of the cotton, and the dyeing and processing of the fabric is done as environmentally friendly as possible. Remnant of 45 cm. Last piece of the roll. Is cut somewhat messy.